Hi, I made double chocolate brownies. They're easy. And rich. The topping has coffee in it, which I love, but if you don't like coffee just double the cream. Preheat oven to 325. Line an 8x8 pan with foil and lightly grease the foil. Melt the butter in the microwave with the sugar, cocoa and salt. Stir in the vanilla, then the eggs one at a time. Stir in the flour and xanthan gum well, until there are no lumps. Pour into the pan and bake about 30-35 minutes. Let cool. Combine the cream, coffee and chocolate in a bowl, then microwave a few seconds at a time, stirring in between, until chocolate is melted. Stir until smooth, then pour over the brownies, let cool. Cut into squares and serve. They're really good with ice cream. Wow! 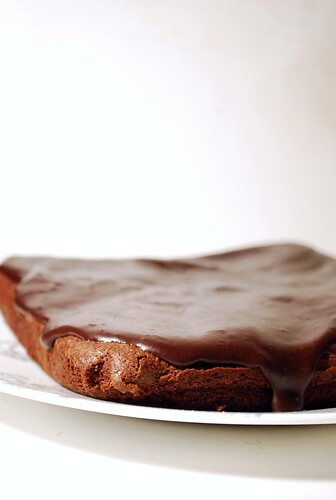 These look amazing - Brownies are such a great dessert, and yours look perfect =D. 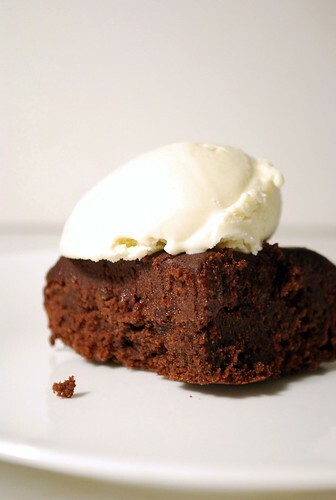 I love those photos - such a deliciously indulgent dessert! Brownies are my favorite food group. Yum. Pure perfection! I love that shiny topping. I'm not fond of chocolate but that first photo is super enticing! That is one good looking brownie! 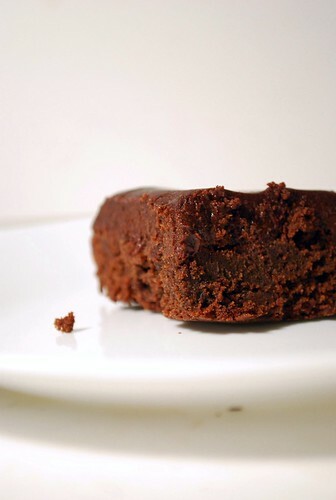 I also like the below brownie recipe.